showing all the different databases to search. 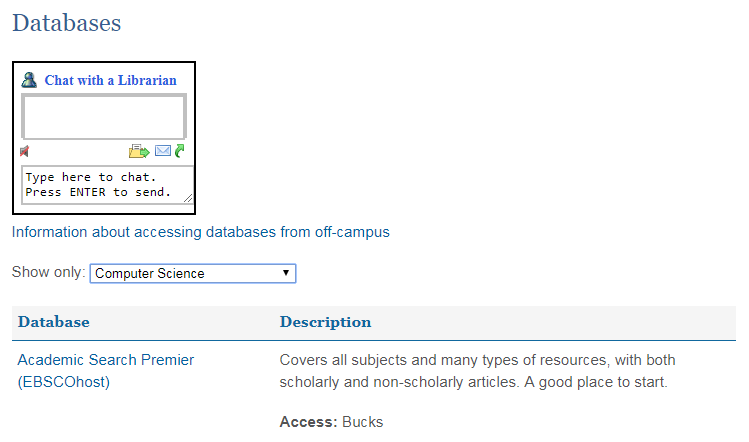 Databases are collections of articles, books, videos, pictures including newspapers, academic journals, and magazines that are great for research. Research for papers, presentation, and life. Figure - Catalog search results example. 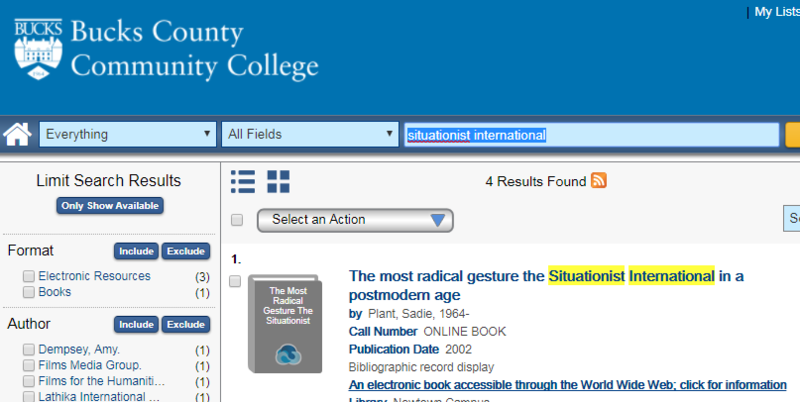 These video guides cover the Bucks Library catalog & website as well as search strategy and other websites. Finding books here on campus and coming up with search strategies.